One of our first stops in Denmark was Nyhaven, a 17th-century waterfront district located in Copenhagen. A hub for dining and entertainment, Nyhaven’s colorful townhouses, which line the strip, harbor underground pubs, restaurants, and cafes. Opposite the buildings is a long canal, docked by a number of boats. The district is particularly famous for housing world-renowned fairytale writer Hans Christian Andersen, who authored “The Tinderbox,” “Little Claus and Big Claus,” and “The Princess and the Pea” while living there. Having heard rave reviews about Copenhagen’s burgers, we walked into Harbour Grill, a pub-like joint offering dining and plenty of alcohol. 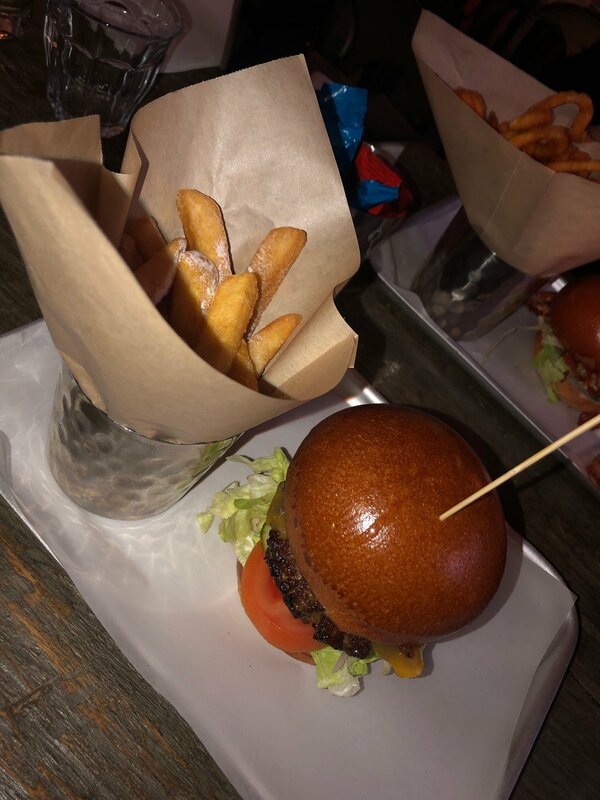 We ordered the Bacon Cheeseburger and the Chicken Burger (almost all restaurants include an English menu), along with salt and vinegar fries. The bacon cheeseburger was pretty standard in that it was prepared with a patty, mustard, mayo, lettuce, tomato, pickled cucumber, red onion, cheese, and bacon. I had the mayo replaced with a light but savory aioli. 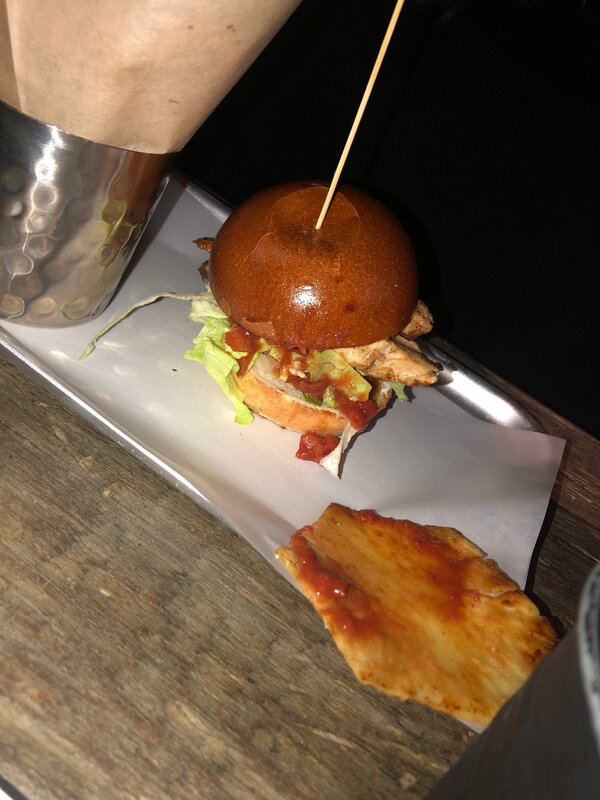 The chicken burger was prepared with mustard, mayo, chili mayo, grilled chicken, lettuce, salsa and pineapple. The salt and vinegar fries were steak cut and a bit too thick for my taste; however, the seasoning gave them a nice, tangy kick. 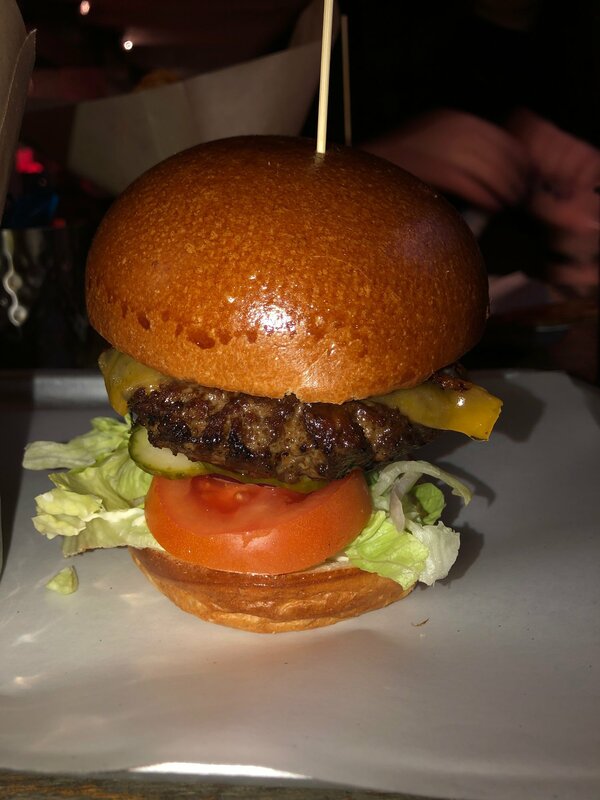 Although the meal did not taste much different than gourmet burgers in the United States, it did feel significantly lighter. My travel partner and I finished most of our meal and, though we were full, we did not leave the restaurant feeling like overstuffed turkeys. 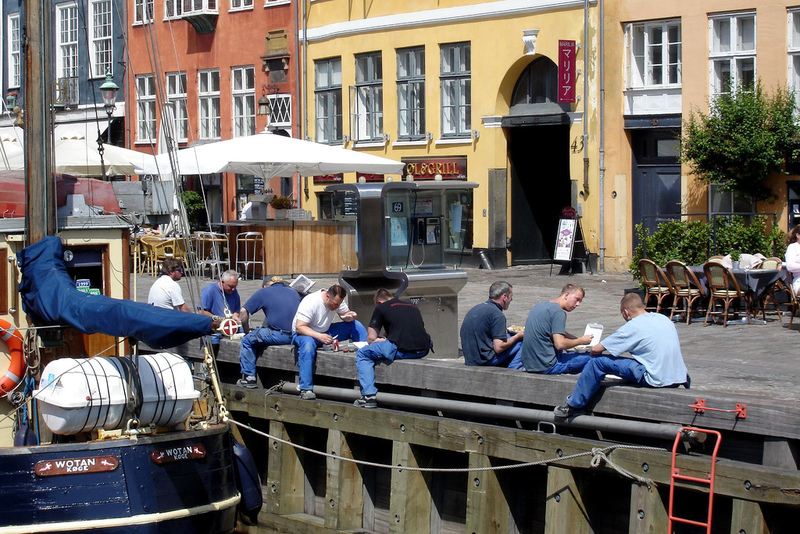 This is a phenomenon you will feel eating throughout much of Denmark. I suspect this is due to the fact that Denmark has banned the use of growth hormones in meat and has severely limited the ability of veterinarians to prescribe unnecessary antibiotics. A 2016 report found that Danish meat and dairy products were free from the unhealthy residues of veterinary medicines. Stay tuned for highlights about local spots! Next up is our review of a popular local bookshop and cafe located right next to the grand University of Copenhagen library!